How many of you like sweets? I am fairly confident that once in a while we all give up to our gluttony and even treat ourselves to one -or more - delicious doughnuts. 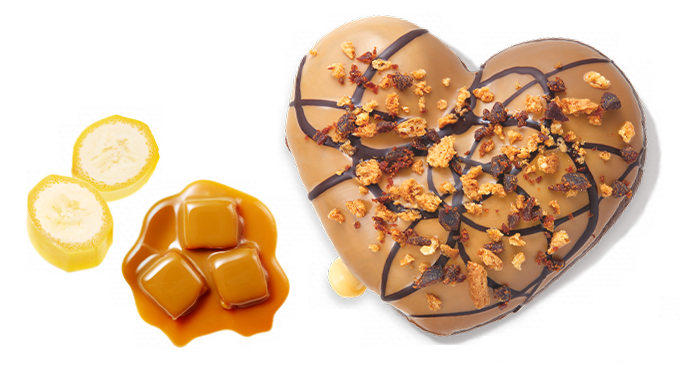 Well, if you ever need an excuse to have one, Krispy Kreme keeps on giving Japanese customers plenty! 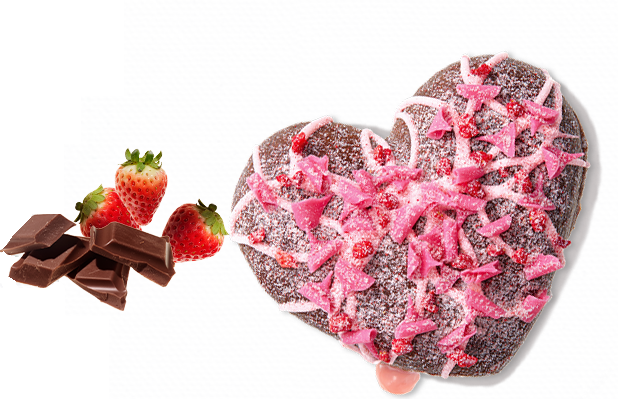 Right after their New Year’s campaign during which they launched a limited set for the month of January, the brand made sure to be ready for Valentine’s Day with a new set of donuts and drinks showcasing chocolate, Strawberry, Banana Caramel and Orange Chocolate as main ingredients. As we mentioned a few times, Valentine’s Day in Japan is big so we wouldn’t have expected the brand to miss out this chance as they have been offering limited edition from the start in Japan! 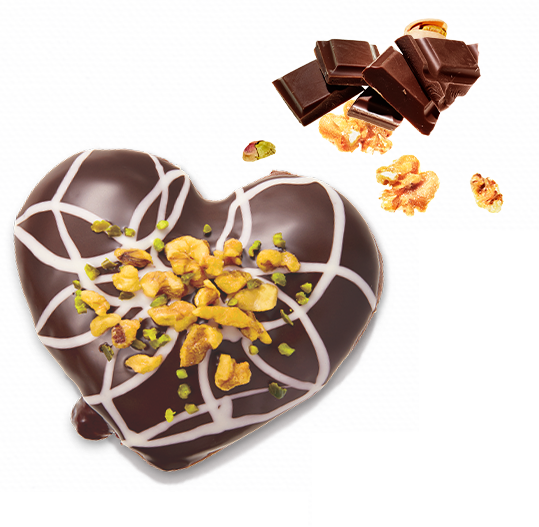 The three main doughnuts that can be found are - obviously - heart shaped and go from the classic fondant chocolate and fondant strawberry flavour to a more daring fondant banana chocolate. 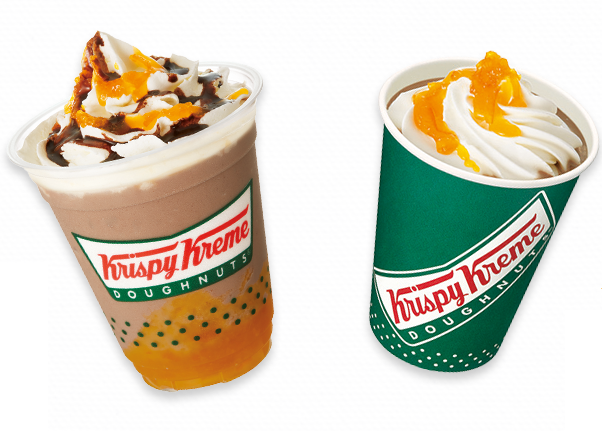 And obviously, you don’t want to miss out the drinks that you can take alongside them: the campaign offers two limited edition choices with the Krispy Frozen Orange Chocolate and the Hot Orange Chocolate!